Government has been advised to consider spending the Annual Budget Funding Amount (ABFA) on fewer road infrastructural projects to avoid the customary thin spreading. Such arrangement, according to the Public Interest and Accountability Committee (PIAC), would allow the citizenry to appreciate and feel the impact of how the country’s oil revenue is utilised. It believes that few legacy projects should be identified and supported by the ABFA. The Report also wants the Ghana National Petroleum Corporation (GNPC) to desist from spending part of its dwindling allocations on non-core businesses such as financing of the Western Corridor roads. Such road projects, the report insisted, “Should either be funded with part of the ABFA or a separate loan contracted for the purpose thereby freeing funds for critical investment in the areas of GNPC’s core mandate. The report cautioned that the challenges confronting the country’s energy sector may deepen if the huge debts in the sector are not settled. PIAC argues that the debt owed particularly by the Volta River Authority (VRA), greatly affected operations for 2016 considering the declining global oil prices. In the Committee’s 2016 annual report, it has advocated strongly that the government and relevant stakeholders find an immediate solution to the issue. 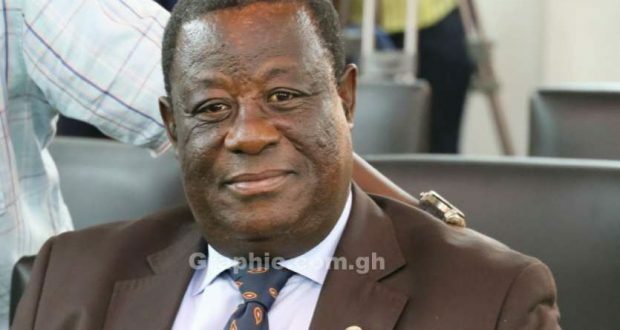 The Vice Chairman of PIAC, Mr. Kwame Jantuah believes the development is worrying as it could rip Ghana’s power plants off the needed gas if unchecked. “With the challenge that the GNGC has with regards to the amount of money owed them, they need to make money somehow and by so doing they are piping gas to other companies which also need gas to do their work…it can be worrying but what does the GNGC do? Definitely they may have to find their own ways and means to generate income to be able to pay their own staff,” Mr Jantuah stated. Wow!! Finally Public Agenda is back on track.I pray that it continues to stay afloat to feed the Ghanaian public with its development journalism. I urge the paper to stay focus on its core mandate.